David Fincher has an undeniable interest in serial killers. From Seven to Zodiac to The Girl With The Dragon Tattoo, the director has focused much of his work on why human beings kill. It’s not surprising, then, that Fincher’s latest endeavor is a TV series centered on the creation of criminal psychology and profiling inside the FBI. 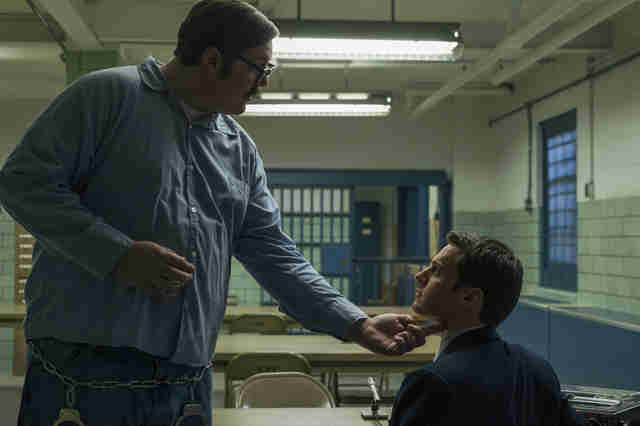 The show, Mindhunter, premieres on Netflix on October 13 and looks at how several real-life FBI agents used interviews with serial killers to better solve ongoing cases. The series, the idea for which was brought to Fincher by Charlize Theron, is based on a book called Mind Hunter: Inside The FBI’s Elite Serial Crime Unit, written by FBI agents Mark Olshaker and John E. Douglas. 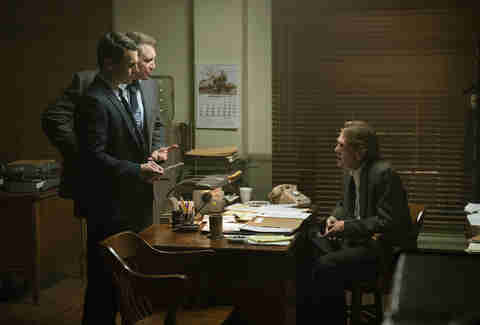 However, in order to make the story work for television Fincher asked screenwriter Joe Penhall to take some serious dramatic liberties. "He came in and we talked about what it could be and he went away and came in with a pitch that was pretty much the only way to do this," Fincher said at a talk during the London Film Festival. "Which is to dramatize the time and the place and the crater that was created by this new thinking. If we stayed religiously to the chronology and called everybody by their real names and tried to get the life rights -- it was an inordinately complex bowl of spaghetti to unwind." For that reason Mark Olshaker and John E. Douglas are not characters in Mindhunter. Instead, Jonathan Groff and Holt McCallany play fictional agents in the FBI's Behavioral Science Unit, both only loosely based on Olshaker and Douglas. The series is set in 1979, but time is compressed, accelerating to get right into the action of the characters interviewing imprisoned serial killers. "This was an approach to really excavate the idea of a particular moment in time, which probably took eight years [in real life]," Fincher noted. "In the first two episodes they begin to get on their feet. [Joe]’s notion was correct: We can’t be bootstrapped to the footnotes. We have to be able to show the audience what they need to see when they need to see it in order to understand." The killers represented on the series are, generally, based in reality. The first several episodes include interviews with Edmund Kemper, a serial killer who murdered his grandparents, mother and several young women in the 1970s. Douglas interviewed him in a California prison, where he is still serving several life sentences, and those conversations are reenacted for the purpose of the narrative in Mindhunter. Charles Manson and the Son of Sam are also included. These actual criminals, who existed in the public consciousness around the same time as Watergate, are a way for Fincher to look at the historic development of the FBI and criminal profiling in the context of a fictionalize tale. "They realized they didn’t understand modern-day criminality," Fincher said. "Out of the basement grew this program of trying to sit with the most depraved minds that you could find to have them explain ‘What was going through your head?’ You had to acknowledge that your enemy was human and there were things about him we didn’t understand, but if you could empathize with him he might let you in on it. That was an interesting notion. That was intriguing to me." 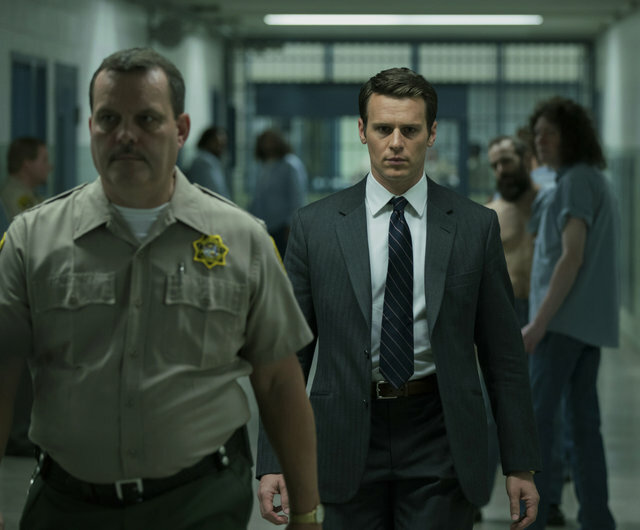 Mindhunter is not really about the murders or the crimes, though. It leans less on violence and gore and more on discussions of human behavior. Many of the crimes are revealed only through crime scene photographers, rather than actual scenes, and that’s because Fincher wants the show to be all about the people. It’s a lesson he said he learned from making Zodiac, and may explain why the show needed to fictionalize some things. "Mindhunter is about characters and what they want and where they were when this new bomb was dropped, this idea of serial killer profiling," Fincher said. "Trying to understand people’s motivations and signatures through the details they leave behind that they’re subconsciously unaware of. It’s much more character-based and much more about how these guys talk to each other [than Zodiac]. And what they reveal in these intimate conversations." The series is already renewed for a second season, although Fincher hasn’t said much about that yet. He did say that, for him, the best scripts leave clues along the way the lead up to an inevitable ending. Like in Seven, the finale of a story should leave the viewer feeling like there was no other possible place to go. "It makes a bigger sense at the end," Fincher noted. It’s something to keep in mind as you binge through the first set of episodes, which the director said showcase "good, clean, wholesome, family values." And, of course, blame Fincher if you can’t sleep at night thinking of killers like Ed Kemper. Emily Zemler is a freelance writer and journalist based in London. You can follow her on Twitter @emilyzemler.